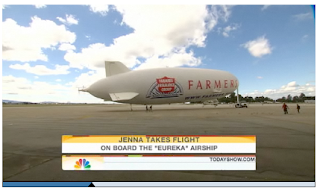 Jenna Wolfe of the TODAY Show was aboard Eureka for the record setting flight May 25 from Moffett Field to San Diego. Watch as she covers the journey from our home base hangar at Moffett Field, to champagne celebration in San Diego. It aired today nationwide, and you can view it online here.